Cooperative Bank of Oromia (CBO) recovers from a financial shock registering a net profit of 207.8 million Br last year. 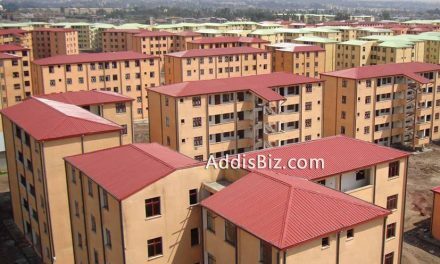 The profit growth in turn pushed the shareholders’ return to 22 Br from four Birr. Its performance is remarkable compared to the preceding year when its profits declined by eight folds from 312 million Br to 39 million Br. Last year, the Bank marked success by expanding its earnings per share (EPS) and profit after tax by six folds. Increase in interest income, commissions and service charges, and gains on foreign exchange had a positive impact on the Bank’s profits. Interest income has increased by 36pc, while service charges and gains on forex have bumped up by 68pc and 40pc, respectively. “Last fiscal year was a pivotal one for CBO as we made tangible progress in gearing the Bank to a stronger and sustainable level,” said Abera Hailu, board chairperson of the Bank, in his statement to the shareholders. Massive expenses accompany this income expansion. CBO’s interest expense has surged by 47pc to 336.25 million Br, salaries and benefits have soared by 119pc to 415.33 million Br while general administration expenses shot up by 55pc to 439.92 million Br. “The increase in salaries and benefits is unusual in the industry and the management should keep an eye on them,” Abdulmenan Mohammed, a financial analyst commented. 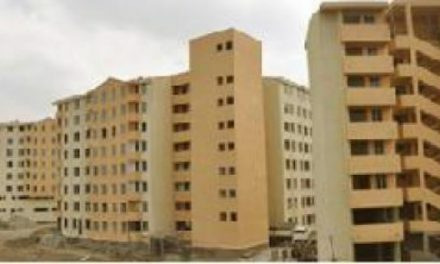 Expense bulge was not a concern for Deribe Asfaw, president of the bank, who believes that it resulted from the Bank’s growth and in accordance with their plan. The Bank has 256 branches, 2.4 million account holders and 2,451 agents employing 3,300 employees. “Last year we recruited 800 employees and opened 82 branches,” he told Fortune. The Bank was able to squeeze its provision for doubtful loans, advances and other assets from 334.56 million Br to 93.66 million Br. Yet, it is still much higher than its peer Lion that registered 26.27 million doubtful loans. “Despite the considerable decrease, the amount remains sizeable,” remarks Abdulmenan. Deribe shares Abdulmenan’s view, attributing the gap to a structural problem with the Bank in keeping tabs on outstanding loans. “To overcome this drawback we have formed a task force that strongly follows-up our borrowers, most of which are small-scale farmers,” he told Fortune. CBO became operational in 2005 and expanded its assets to 17.7 billion Br last year. Although having registered a decent performance, it’s profit, and dividend is lower than 2015/16 and 2014/15 fiscal years’. “This reveals that the Bank hasn’t fully revived from 2015/16’s financial shock and the management needs to work hard to get back on track,” said Abdulmenan. This would not be a challenge for the Bank henceforth, according to Deribe, as the management is working on diversifying its profit sources. “We are working on earning assets [income from rental property, and other interest or dividend earnings] for a steady income attuned to long-term goals,” he added. CBO has also registered the highest asset, loan and deposit growth rates in the industry. 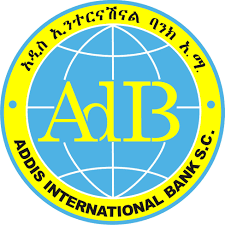 Private banks grossed an aggregate eight billion Br profit, while the state-owned giant Commercial Bank of Ethiopia (CBE) grossed 14 billion Br in profit. Its total assets have increased by 66pc to 17.7 billion Br. Likewise, loans and advances have gone up by 66pc to 9.7 billion Br. It also managed to mobilise deposits of 14.2 billion Br, an increase of 68pc. The loan to deposits ratio at CBO has declined to 67.9pc from 70pc. A slight dip, the figure is equal to the industry average. CBO has increased its investment in the National Bank of Ethiopia (NBE) bonds by 86pc to 3.3 billion Br. This investment represents 18.62pc of the Bank’s total assets and 23.11pc of total deposits. CBO has increased its paid-up capital by 10pc to one billion Br, double the limit set by the NBE. CBO’s capital adequacy ratio (CAR), the proportion of its capital to its risk, has dropped to 13.74pc from 20.4pc. Even though CAR is higher than the regulatory requirement of eight percent, it is far lower than the industry average of 21.4pc. “The Bank needs to beef-up its capital as a precaution,” concludes Abdulmenan.